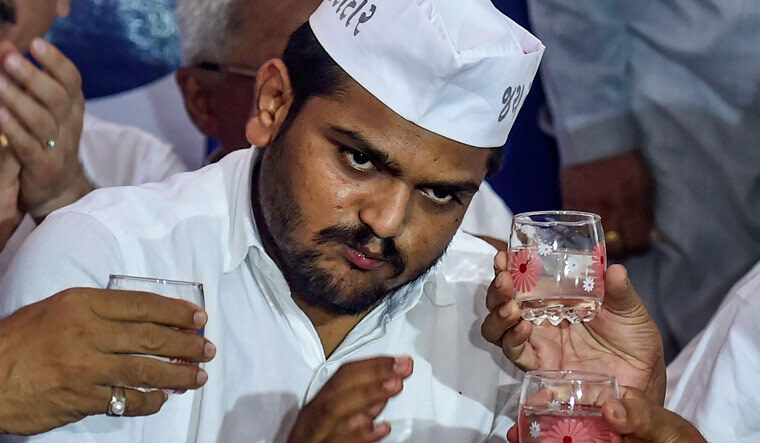 Firebrand Patidar community leader Hardik Patel announced on Wednesday that he would contest the upcoming Lok Sabha election. “Bilkul, hum 2019 mein chunav ladenge (I will definitely contest the 2019 elections),” Patel told reporters in Lucknow when asked if would take a plunge into electoral politics. On joining the Congress, the Patidar Anamat Andolan Samiti (PAAS) leader said he would take a decision about it later. Congress sources said negotiations were on with Patel about his joining the party to fight the elections. He might contest the elections from Mehsana or Amreli seat, which have a strong presence of the Patel community, party leaders said. But Patel has been barred from entering Mehsana by a court in a case of violence during the 2015 Patidar agitation, party sources said. He had filed a plea in the Gujarat high court against the lower court order. “If the HC vacates the ban on his entry into Mehsana district, he is most likely to contest from Mehsana (in north Gujarat)…. Amreli (in Saurasthra) is another seat which has been offered to him,” they said. Congress leaders, however, did not rule out the possibility of the PAAS leader contesting the election as an Independent candidate with the party’s outside support. Patel’s entry into electoral fray will have an impact in Gujarat, where the Bharatiya Janata Party has been winning assembly elections since 1995. In the 2014 general election, the BJP had won all the 26 Lok Sabha seats in the state. “After the Centre granted 10 per cent quota for the economically weaker sections (EWS), it was our wish that Hardik should contest the Lok Sabha polls and take ahead the cause of our community,” PAAS leader Dharmik Malaviya said. Since Hardik has crossed the age of 25, he is eligible to contest elections now, he added. Patel came into limelight for leading strident protests in the state over his community’s demand to get reservation in education and jobs. Clashes had broken out during the quota agitation led by Patel on August 25, 2015, leading to the death of 14 people and large-scale destruction of public property. The Patidar leader was slapped with sedition and other charges. He was in jail for nine months, before being released on bail in July 2016. Before the state Assembly election in December 2017, Patel had declared support to the Congress.